These bite-size projects will teach you all you need to know. Have the perfect idea for an app? If you've been dreaming of learning to build your own apps, Hacksaw Academy can help! This course teaches you the necessary skills to dabble in tech and even turn them into a potential career. And though a lifetime subscription typically costs $600, it's currently available for 91% off at just $49. Your progress will be saved, so you can jump in and out of the editor at any time. And the lifetime subscription means you'll gain access to any new projects that are added in the future as well. 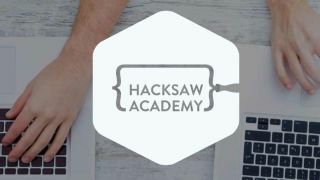 Grab a lifetime subscription to Hacksaw Academy for $49 here.